“Delicate” is one of my favorite songs on Taylor Swift’s ‘Reputation’ album! It’s different, it’s catchy, it’s relatable; and, in true Taylor fashion, the lyrics represent her real life. One of the reasons that I have been obsessed with the music of Taylor Swift since the beginning of her career, is that she is not afraid to expose her real experiences and raw emotions. Unfortunately, this honesty and boldness has given people the open opportunity to negatively judge her reputation. 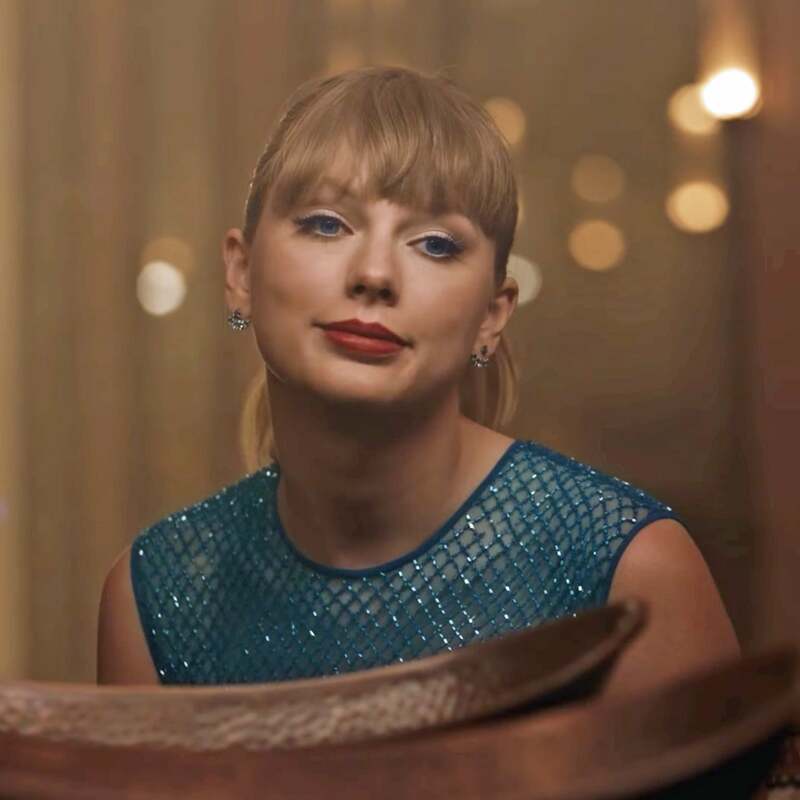 It continues to surprise me how people lose their minds because she “capitalizes” on her past relationships through expression in her music; although, basically every songwriter produces music (based on the same topic) with the intention to sell it and make a profit. Somehow, this makes Taylor less humane and a little bit crazier than the next Grammy-nominee. When I first heard “Delicate,” my superficial impression was that this song was simply another representation of the treacherous nervous excitement of a new relationship (which is a theme that can be found in many of Taylor’s songs) and how her scandalous “reputation” obviously affects her life. However, it was not until the release of the video that it occurred to me that as ridiculously famous as Ms. 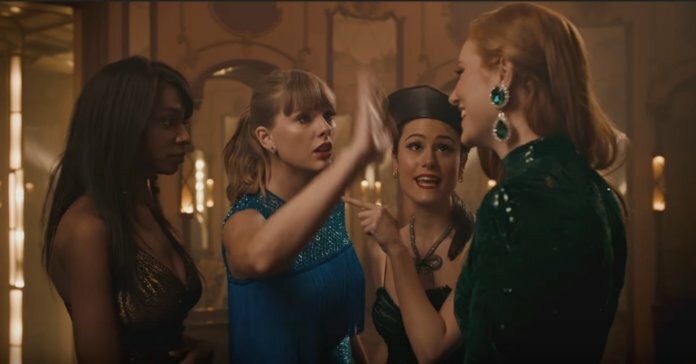 Swift is, she really just wants to be accepted in her personal and professional relationships (just like the rest of us). At the very beginning of the video, Taylor is seen doing an interview on the red carpet. Interviews are a part of her job, but just like the rest of us, I am sure she gets tired of the everyday mundane tasks at hand. Failure to answer a question appropriately can cost us a job, a relationship, or a deal. We must bring our A-game if we want to be on the A-team. The old Taylor would be content with the enchantment of meeting new people; but, since she can’t come to the phone right now, we can relate to her tired and lonely face. As flawed humans, all we want is to be accepted by our peers. In my experience, true acceptance can be very difficult (if not impossible) because I wear so many hats. It’s very difficult to try to fit in at work while also trying to maintain acceptance from family and friends, church members, and community members. My relationship with my husband is different from my daughter, and my relationships with my sisters are different than my friends; regardless of the relationship, we all just want to be able to be ourselves and be loved for who we are. Sometimes, I am afraid that if people really knew my thoughts and dreams, I would be a loner for sure. It took me a long time (and a lot of growing up) to accept that my quirks, my flaws, and my strengths all make me– well, me. At the end of the day, the opinion of others really is just that–an opinion, so we might as well own our big reputation because, hey- we earned it. I am a huge fan of social media, but even I am guilty of retaking pictures fifty times in an effort to hide all of my blemishes and promote a picturesque lifestyle. I don’t know why we have an obsession with obtaining a proverbial gold star from our friends on social media; I believe that we have a responsibility to bring back honesty and integrity, which are characteristics that social media may be stripping away from us. I have no trouble admitting that I am a humiliatingly flawed character; however, am I willing to leave photographic evidence of that? I tend to worry constantly about what people think of me; especially, when I’m meeting folks for the first time. A thousand questions pop in my head: Am I smiling enough? Am I smiling too much? Am I going to say something offensive? Like typical ‘kystieisms,’ I do tend to take things a little far. What I think is humorous is usually awkward, so I imagine that the product of my habit of over-thinking and trying to look cool is likely this face. I used to play dress-up with my sisters and friends when I was a kid. Most 9 year-old-girls dream of dressing up to meet their Prince Charming; but, as I gazed at myself in the mirror while lip-syncing my entire Spice Girls and Britney Spears collections, I couldn’t help but dream of the days when I would actually put on a pretty dress, high heels, and red lipstick to take on the world. Although a very influential person in my life once told me, “The only things a girl needs to be successful in life is a big brain and even bigger high heels”, I have come to realize that there is a lot more to success than that. I am a realist, so I was not very disappointed to discover that there is a minimum amount of romanticism in adulthood; however, there is still a child-like side of me that wishes I could still be little. I miss the days when I played dress-up for fun, not because I have to. Direction is difficult sometimes– both literally and figuratively. There are so many times in life we feel like we’re gracefully navigating our way through the beautiful unpredictable weather and terrain only to find ourselves taking a wrong turn and falling down a rabbit hole. You would think this relentless feeling of fear of failure would drive us toward abandoning our pride and allowing people to help us get home safely, but that wouldn’t make for a very good narrative, would it? Unfortunately, we cannot request to be removed from the narrative every time we make a mistake (although there are many, many times I wish life were that simple). That’s why we must take responsibility of our actions, ask for help, and be willing to assist others who are too stubborn to stop and ask for directions. I wish someone would have told me that the phrase “fake it ’till you make it” may be the secret of life. There are so many times in my day-to-day life that I am faced with a situation that challenges me more than ever before, and I am clueless as to how to properly handle the situation. Challenges and conflict with work, family, friends, children, siblings, and even traffic sometimes make me question why we put ourselves through such turbulence on a day-to-day basis. Because I am a “fixer”, I somehow task myself with the responsibility of fixing everyone and everything. I apologize way more than I should; oftentimes, when I am not at fault–at all. For me, the success of resolution makes every challenge worth it in the end. So, what is the point of the beautiful pandemonium of life? The short answer is life is a continuous test where we do not have access to study material; nor are we privy to the answers. The ups, the downs, the surprises, the expectations, the good, the bad, and the ugly all add up to be the beautiful chaos that we can’t help but fall more in love with every day. People are people, pain is real, and the never-ending reasons why we all choose to hurt each other and bring each other down instead of being kind and encouraging to one another will never cease to amaze me. As cliché as it may seem, the only logical thing to do is to keep on dancing like we know all of the words and all of the moves- like we dream impossible dreams–like we’re made of starlight.